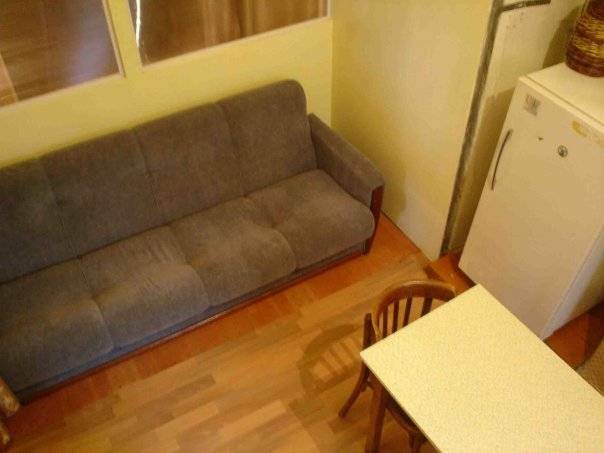 A quiet place, perferct accommodation for FIT and backpackers. Close to the city center, Ethno museum, local market. Homestay itself is a wooden house with private rooms. Always fresh greens and vegetables (from june) from the garden of Svetlana! Russian banya on the site! Good atmosphere for kind people. Andrei, Svetlana's husband, foundator of Big Baikal Trail project. All the family - mother, father, son and daughter speak english. 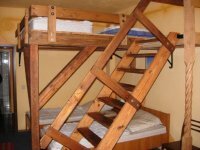 Rooms in wooden house, equiped with bed, shelfs, chairs. 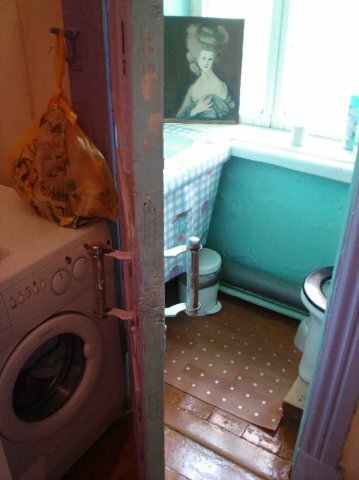 Common WC and shower. Banya (russian sauna) on request. 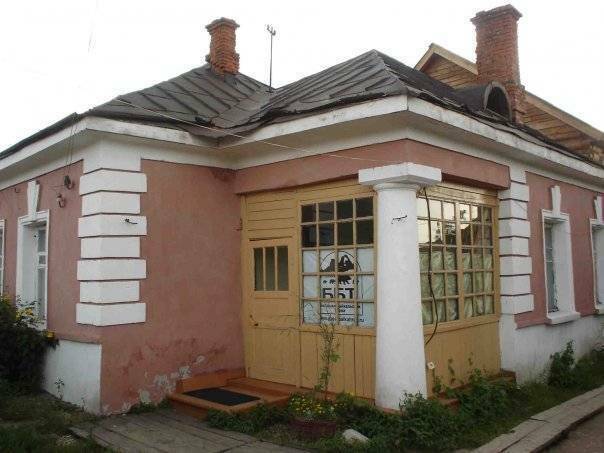 This house is situated in the quiet place of the city, between other cottages. Only local people live there, no public place nearby. But the hostel is in 15 minutes walking from the city center. The standard cancellation policy is 48 hours. For non-arrivals and late cancellations after this period a one-night charge may be applied. Exit the station over the footbridge, turn left go only 20 meters, turn right along the walking alley. Turn left, walk approximately 350 meters to the top of the proper street at the top of the hill (Ul. 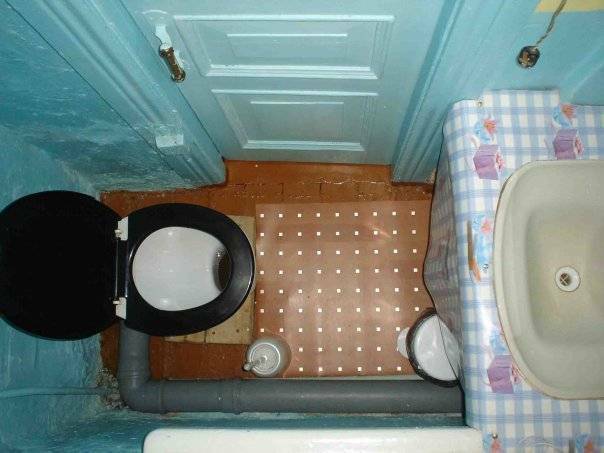 Zhukovskogo); Turn right, walk only 30 meters to the second alleyway on your left,(ul. 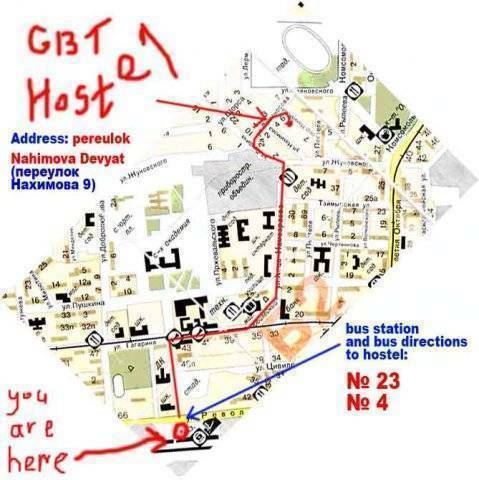 Pestelya), turn left, walk only 25 to the diagonal street on left (alley Nakhimova); Go to the second house from the end of your left # 9-2. Ring bell.